Bought new clothes but for some reason (almost) never worn them? Is your wardrobe packed and you don’t know where to stack? Don’t worry, The empty shop is here to help you out! Come and donate your clothes, shoes and accessories at the Empty Shop in Brussels, on 15 – 19 January 2018 @ Beursschouwburg. The Empty Shop is not your regular second-hand shop! Cooking with Abu / Door en voor Brusselse daklozen ! Buy your clothes and support these local initiatives from 17 – 19 January 2018 @ beursschouwburg. The Empty Shop is an open source project, which means that everyone can take over this concept. The idea originated from a mall in Brazil. The Kringwinkel van Antwerpen first introduced the idea to Belgium. Curieus organised her first Empty Shop a year later at the Festival of Equality. 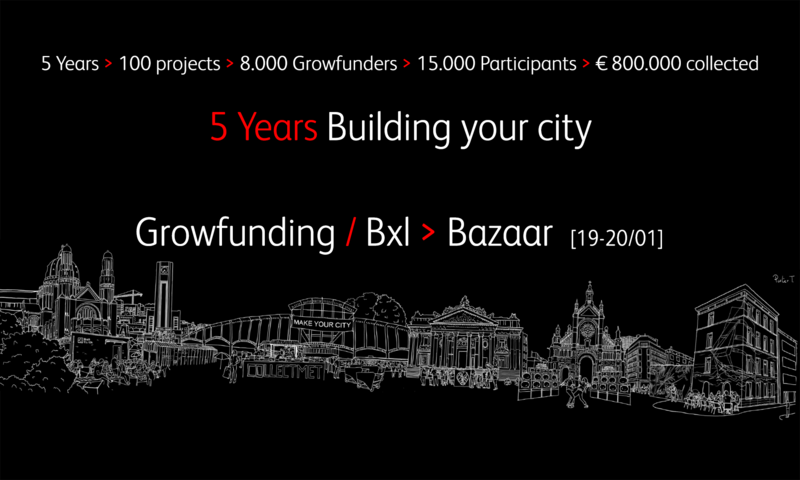 This time Curieus partners up with Growfunding at the Bazaar conference/festival to support local, social and urban initiatives. At the end of the ride, as way to say thank you, the Empty Shop invites all their supporters to the closing reception. Drinks, food and music will be provided.